They go together like peanut butter & jelly, Bonnie & Clyde, bread & (vegan) butter, pen & paper, sand & surf, and avocado & basically everything. We reached out to a ton of local yoga teachers to discover their favorite places to visit for a quick sip after savasana. Here are the Top 20 in NJ (well, a little more than 20. We really got into this). Note: we stayed away from alphabetical order, numbering from 1 to 20, and/or location based listing because we are deeply in love with every single one of these spots. Make yoga dates and try them all! 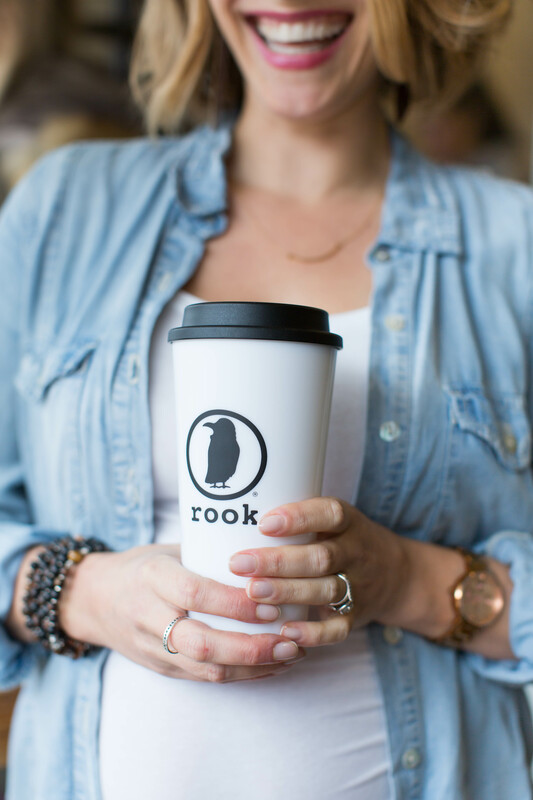 Rook Coffee – All Over the Jersey Shore! Ridiculously good coffee from people who care. Locations in Point Pleasant, Colts Neck, Holmdel, Manalapan, Little Silver, Oakhurst, Red Bank, Wall, Long Branch, and Freehold. Absolutely love Rook for too many reasons. The staff at every location is always friendly, attentive and move quick. Rook keeps the menu simple, avoiding fancy coffees, but the flavors are anything but simple. Easygoing rustic-chic coffee place serving espresso drinks & tea, along with pastries & sandwiches. The best part of Hidden Grounds is that it’s a team success. A mother in India sends the spices for their Masala Chai, and a close friend named the business. We source our coffees from the finest farms we could find. After roasting and cupping processes, our baristas spend countless hours working their magic to find the perfect ratios to serve. At Hidden Grounds we put ourselves into the shop. We learn your drink, know your story, and are happy to see you every time you visit. Cozy, art-decorated hangout offering light American fare, coffee, live music & open-mic nights. Coffee, with a side of great local singer-songwriters. Rojo’s Roastery is a small-batch, artisan coffee roaster located in Lambertville (roastery/cafe) and Princeton (cafe), NJ. They travel the globe, searching for farmers whose crops are often too small to grab the attention of the conventional coffee trade. I’ve been mulling it over – was this the best espresso I’ve ever, ever had? YES. Yes, that is exactly how they advertise on their website. PERFECT! Try out a yoga class upstairs at Cape May Yoga and receive 20% off your cafe purchase. I have traveled all over the country, and Magic Brain is by far the best coffee shop I have ever been to. Super quick and efficient service with excellent options and ingredients. The pastries are absolutely to die for and the atmosphere is warm and welcoming. Don’t even bother with the competition, this is where you need to go. Jersey Java and Tea Co.
We love our coffee, and because of that, we serve it a little differently. 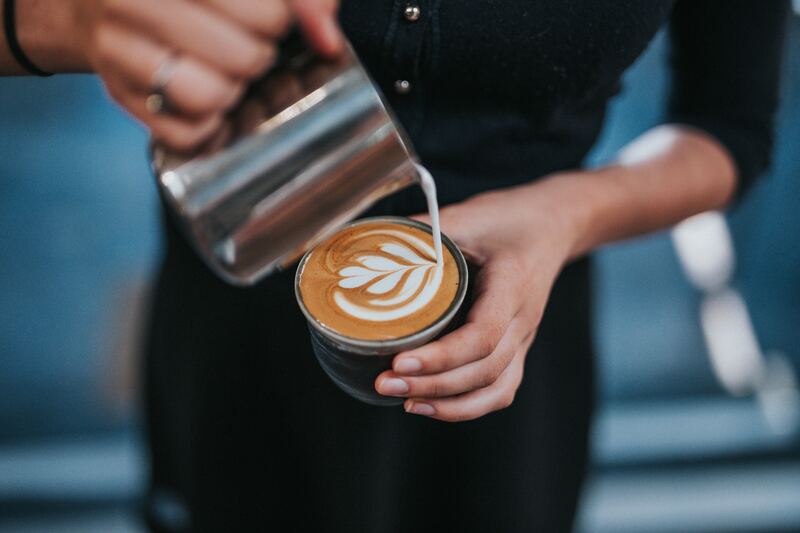 We hold ourselves to a higher standard to ensure that you are getting the best coffee the world has to offer, properly brewed and with guidance from our knowledgeable staff. We switch out our coffees on a monthly basis to accommodate seasonal harvests and get you coffees when they’re in their prime. Rustic-chic coffee shop providing craft java drinks, plus baked goods & simple cafe fare. One of my favorite places! Awesome location and atmosphere. The cold brew coffee is legendary and they make the best cappuccino I’ve ever had. Also they started roasting coffee with Maiden Coffee and it’s unbelievable, grab a few bags before you leave. A Vegetarian/Vegan Coffeehouse nestled on the first floor of an old grist mill in the heart of a small town. This coffee house is in the restored, historic Old Mill Building. It’s cozy, warm and full of character and charm. It’s filled with Vegan and vegetarian foods and desserts! You can always find it filled with locals where everyone knows each other and people from far and wide come to eat and hang out here. Above this magical hot spot is The Movement Studio, right upstairs! Grabbing a tea, coffee or vegetarian treat after a barre or yoga class? BLISS. Squirrel & The Bee features grain-free (gluten-free), refined-sugar-free, and no or low dairy products. The serve muffins, granola, cookies, and frozen desserts (think 26 flavors of amazing dairy free ice cream), along with more savory items like soups and salads, eggs/omelettes, veggie burgers and more. My favorite place to sit and eat, sip coffee, and just catch up on work. This place has the feel of a New York style coffee shop in the middle of Millburn. And the best coffee in town, I crave it whenever I’m away from Jersey. One of the best cafes in NJ, but we are even more excited about how they serve the community. Red Eye pairs with Harvest Drop and City Green Inc. to provide local organic produce whenever possible. Also, their web address rocks – www.drinkredeyes.com. Normally, atmosphere is more important in a coffee shop than quality of coffee (for me), but this place nails everything. Espresso made with house-roasted beans and other coffees at a compact shop with tea & smoothies. This is one of the most amazing coffee shops I have ever been to. The staff are always on top of their game. They know what they are doing and are extremely great at it. The atmosphere is welcoming every single time I stop in. They have a texting service where you can text this number they have on their website to order and they never fail to text back as soon as possible to get your order ready within a ten minute window. I love this place so much. I work out of Shrewsbury everyday so I always need to stop in to get a nice cup of coffee. My all-time favorite is the Sumatra blends! They are so freakin’ wonderful! Mix it with a little almond milk and raw sugar and you’re set for the morning! Hear it from me! I’m obsessed with coffee! I will continue doing my coffee stops here for as long as they’re around! Thank you so much Coffee Coral! Keep up the fantastic work! And never stop making premium coffee! December 22, 1993 – the day this awesome cafe opened it’s doors on Witherspoon. From then until now, Small World has been on the front of the premium coffee wave in the USA with fair trade, single origin drinks, including their coffees, teas, and speciality options like Golden Mylk (turmeric and almond milk). Everything is prepped to perfection by cheerful professionals who know you and know how you like your drink. Still my fav coffee shop in Princeton, with a Bohemian feel all it’s own. Live music on Sat nights. Great, strong coffee. Delectable baked goods. Friendly service. So local, they have no website! This is where Inlet has its meetings and gets work done- not your green juice, matcha tea, moody poet cafe (though we love those too). Totally legit coffee, cappuccino, latte or espresso. And if you are looking for the real deal mama’s kitchen atmposhere look no further and appeal to your sweet OR a savory tooth. This casual coffee/ bake shop is as chill in atmosphere as the oven is hot. We are consistently blown away by the people we meet and how effectively a thoughtful product can shapeshift to mean something important and different to all of them. We value inclusiveness over imposition, open-mindedness over repetition, light-heartedness over reverence. We drink what we like, we wind up where we like to be, and we encourage passersby to do the same. Dedicated to serving top quality and earth-conscious coffee through exciting brewing methods – as well as specialty teas, drinks and healthy snacks. Bwè is the absolute go to coffee shop in all of Hoboken. The taste and quality of the coffee is always dynamite and always consistent. A true neighborhood spot with great ambiance and space – for meeting up with friends, or just to sit down on your laptop and get work done. The staff is always super friendly and provides phenomenal service. A neighborhood cafe serving killer coffee alongside wholesome and delicious foods,with the best outdoor seating in the Jersey City Heights. Graceful,peaceful and light atmosphere. Walk inside and discover the relaxing and inviting back yard seating. The food is absolutely amazing. The presentation is like a work of art. Great place. Think Greenwich Village intimacy in Jersey City. Excellent healthy menu with vegetarian, vegan, and plenty of gluten-free options. Amazing coffee and a great place for breakfast or brunch. Boxwood Coffee is a family run coffee shop and roaster based in Summit, NJ established in 2014 by husband and wife team Stephen and Erin Bellamy. In 2018 Boxwood opened it’s second location in Westfield, NJ. Fantastic coffee for casual drinkers or diehard connoisseur, knowledgeable baristas. This place has amazing ambience. The coffee, though expensive, is worth it. They use great high quality beans and fit into the hipster coffee scene. The decor is quite clean and minimalistic. I highly recommend the ice coffee to get your caffeine fix. The staff is hipster as AF. The bakery + cafe is loved for its breads, sandwiches & quiches, plus coffee, amid minimalist, pale-wood decor. Maya is an incredible barista, and went above and beyond to ensure that we had amazing coffees. Awesome cafe – it is truly refreshing to go an independently owned cafe. This place is always busy as well, which is a great sign! The Rock ‘n’ Joe brand was inspired by two things: the growing popularity of specialty coffees and sandwiches among American consumers, and rock music and memorabilia. First-rate coffee, outstanding sandwiches, and delicious pastries in a cozy and laid-back atmosphere, reminiscent of a backstage lounge. The coffee was delicious, the vibe was fun and the choices were aplenty. I look forward to going there again and highly recommend getting one of their biscotti to go with your coffee. 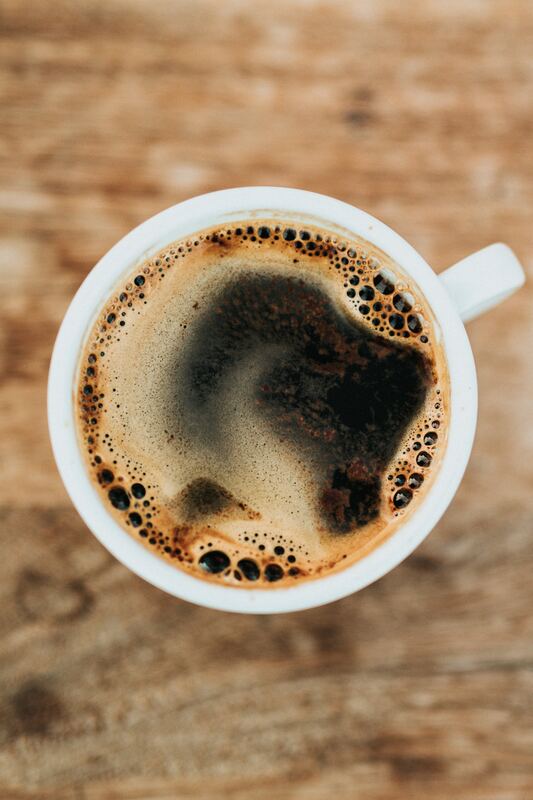 Coffee shop known for bringing the hygge vibes – the Danish lifestyle trend (pronounced “hoo-gah”) that’s been taking Insta and Pinterest by storm. It’s a concept that roughly translates to creating joy and cosiness in life’s everyday moments, whatever the season or time of day. Perfect for pre- or post- yoga sesh! If your a regular, you can leave your own mug on their wooden hanging rack and “espresso yourself”. Beautiful waterfront view, coffee, lattes, smoothies, and oatmeal with the works. Ketogenic and vegan friendly! Live music some days, as well as local artists showcased monthly. Eclectic coffee house with good vibes. The Treehouse, known for its attention to detail, grows all of its produce, coffee & espresso beans, soy beans, and cocoa beans on the roof of their building. They also have a small herd of girlie cattle up there for all of our milk & Half & Half. We also have a goat, but he’s just for giggles. We make a variety of scrumptious homemade baked goods,not to mention the ice cream and desserts, yum. We mold and change to serve a variety of groups within our community including, but not limited to playgroups in the morning, book clubs, and local artists. We offer free wi-fi which keeps students, business execs, and home schooled happy during all of our regular business hours. Our coffee and teas are delightful. Our baked goods are delectable. Our drinks and food are delicious and our customers are the best in the area. They have become part of our family at the Moon. All of this served up in a welcoming environment. That’s what Crescent Moon Coffee & Tea Cafe is all about. But, don’t take our word for it. Visit us, and find out for yourself.